Hampton Sides latest book, ON DESPERATE GROUND: THE MARINES AT THE RESERVOIR, THE KOREAN WAR’S GREATEST BATTLE has met, or even surpassed the high standards for excellent narrative history that he has set in his previous works. The book is based on extensive interviews, memoirs, command of secondary sources, and the ability to place the reader along side historical decision makers and the soldiers who carried out their orders. Whether Sides is writing about James Earl Ray and the assassination of Martin Luther King; the last survivors of the Bataan Death March; a biography of Kit Carson; or the late 19th century voyage of the USS Jeanette to the unchartered Artic waters, he tells his stories with uncanny historical accuracy and incisive analysis. In his current effort Sides conveys the authenticity and intensity of war on the Korean peninsula. His portrayal of the bravery of America soldiers is clear and unsettling as the realism of combat is laid bare for all to see. At times it is difficult to comprehend what these soldiers were able to overcome and reading the book during the week of Veteran’s Day makes Sides work that more relevant. Sides integrates all the important historical figures into his narrative, including American Marines and members of the US Army. We meet the egotistical General Douglas MacArthur and his staff of sycophants and supplicants. MacArthur can carry out the Inchon landing against all odds, but this logistical miracle seems to fuel is insatiable need for further glory. 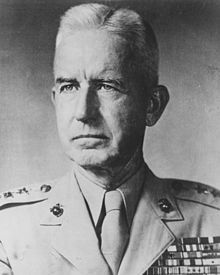 Fed by men like General Ned Almond whose main goal was to carry out MacArthur’s wishes, sluffing off any advice or criticism by other planners the only result could be the disaster that encompassed American soldiers at the Chosin Reservoir and along the Yalu River. Disregarding intelligence that went against his own staff, MacArthur and Almond would push on disregarding and ignoring contrary opinions. President Harry Truman appears and seems to go along with MacArthur, particularly at the Wake Island Conference until proof emerges that over 250,000 Chinese Communist soldiers have poured into North Korea from mid-October 1950 onward. Perhaps Sides most revealing portrait in explaining how American soldiers met disaster in the Chosin Reservoir region was his comparison of the views of Major-General Oliver Prince Smith, the Commander of the First Marine Division, a by the book Marine who described MacArthur as “a man with a solemn regard for his own divinity;” and Major-General Edward “Ned” Almond, MacArthur’s Chief of Staff. All Almond cared about was speed, disregarding the obstacles that Smith faced in planning MacArthur’s assault on northern Korea. Smith was a deliberate and fastidious planner who resented Almond’s constant goading. He felt that Almond strutted around (like MacArthur!) and made pronouncements based on minimum intelligence. Almond was a racist who down played the abilities of Hispanic American troops and thought very little of the fighting ability of the Chinese. For Almond’s part he viewed Smith as an impediment to his overall goals of carrying out MacArthur’s wishes. He believed that Smith was overly concerned with planning minutiae, and his deliberate approach detracted from his grand plans. Sides portrayals of American soldiers and the their character provides insights and provide a mirror for the reader into the person’s abilities and their impact on their units, individual bravery, and the success or failure of their unit, battalion, or company’s mission. Studies of Lee Bae-Suk, a Chinese-American who escaped North Korea as a teenager and enlisted in the Marines; Captain William Earl Barber, Commander of Company F, 2nd Battalion role protecting the Toktong Pass, a key route to the Chosin Reservoir, and a student of Sun Tzu as was Mao Zedong; the exploits of Seventh Marines’ Company E, known as “Easy” Commander, First Lieutenant John Yancy at Hill 1282; Lieutenant Chew-Een who led the column to rescue Fox Company encircled by Chinese troops; the Jersey contingent of private Kenneth Benson and Private Hector Cafferata, Jr.’s heroism in Fox Company; Lieutenant Thomas Hudner who would earn the Congressional Medal of Honor for his bravery for his attempt to rescue Ensign Jesse Brown who hailed from a Mississippi sharecroppers background to become the first African-American fighter pilot in the US Navy; are among many along with other portrayals that are eye opening, as so many soldiers continued to fight on against all odds, despite wounds that would not have allowed most to even stand upright. Sides description of combat is almost pure in of itself, but completely unnerving. A prime example is the fight for Hill 1282 and the rescue attempt of Fox Company. The Chinese would attack American soldiers in human waves by the thousands paying little, or no attention to casualties as Marines repeatedly cut them down. 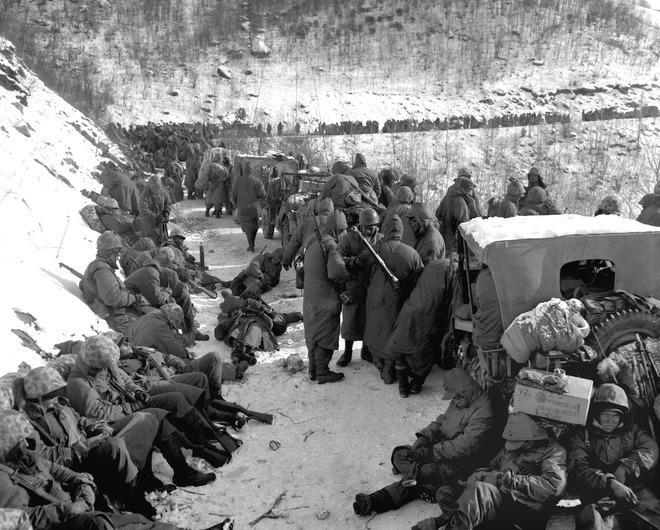 The carnage and suffering are hard to comprehend as is the bravery of US Marines fighting in sub zero temperatures in the middle of the night to protect a small piece of geography in northern Korea against an enemy, lacking in communications using the unnerving sounds of bugles, cymbals, whistles and such to organize their attacks. Battles are seen through the eyes of the participants and the will and desire of each man is on full display. Sides has written an excellent narrative military history, but on another level, he has produced a study that highlights the relationship between men in combat and how they rely upon each other for their survival. It is a book about heroes, the idiocy of war, and the incompetence of decision-making by people at the top who are willing to send men to their deaths, in many cases without batting an eye. The book reads like a novel, but it presents history as truth, that cannot be denied or dismissed. On June 25, 1950 North Korea unleashed an attack against its southern neighbor that set off a war that resulted in 36,914 American casualties. Many Americans are aware of the role of General Douglas MacArthur in the conflict, in particular his brilliant, but risky landing at Inchon that beat back the North Korean attack, and later in the war pursuing a strategy that led to Chinese intervention. MacArthur’s actions were very controversial and once the Chinese crossed the Yalu River with over 100,000 troops and the military situation deteriorated, America’s allies grew concerned when MacArthur suggested the use of atomic weapons against the Chinese. President Harry S. Truman did his best to reign in his commander to no avail and most historians believe that MacArthur overstepped his authority and allowed his strong belief system guide his actions. Others like the British historian Robert Harvey and the American historian Arthur Herman believe the situation was much more nuanced. The topic has again been explored in H.W. Brands new book, THE GENERAL VS. THE PRESIDENT: MACARTHUR AND TRUMAN AT THE BRINK OF NUCLEAR WAR. Brands position is very clear that Truman’s firing of MacArthur was a “bold stroke” that may have headed off a much wider war with the Chinese. Brands juxtaposes two personalities with totally different backgrounds and agendas. Truman, reelected president in his own right in 1948 stood up to Stalin after World War II implementing the Truman Doctrine, the Marshall Plan, and stood fast over Berlin as he pursued the policy of containment of the Soviet Union. With the North Korean attack he was able to blunt their progress until the Chinese crossed the Yalu River in force, but he was faced with a commander who wanted to employ nuclear weapons to send a message to the communist world. On the other hand, MacArthur, the “all knowing general” who held politicians in contempt, especially a “novice” president like Truman. MacArthur saw himself as having saved the Pacific in World War II, rebuilt postwar Japan, and now believed he had the communists right where he wanted them, but a feckless president stood in his way. Brands does his best to explain the issues between the two men in the context of the Cold War in which they lived. Brands has written a general history of their relationship and its ultimate outcome, but does not really add anything new that has not been uncovered by previous works on the topic. Brands smooth narrative style, refined through the many books he has written is present throughout. Brands is a master story teller who is able to present his narrative and analysis in a concise fashion that the general reader should enjoy, which at times will also satisfy an academic audience. A case in point is how MacArthur gained the support of the Japanese people as he totally reoriented their society away from the militaristic emperor worship to a nation based on liberal democracy. In the constitution he prepared he did away with all pre-war institutions, except the emperor, that had dominated Japan and resulted in World War II. Further evidence of this approach can be seen as Brands reviews Truman’s career that spans his election to the Senate in 1940, his assumption of the presidency in 1945, and Cold War events to the onset of the Korean War. Brands effectively relies on Truman’s correspondence with his daughter Margaret who served as a remarkable conduit into his thoughts and concerns. A major strength of the book are the character studies that are presented. Discussions of people like Secretary of State Dean Acheson, a rather arrogant individual; General Omar T. Bradley, whose insights into Truman and MacArthur’s personalities are fascinating; General Matthew Ridgeway, a hero at the Battle of the Bulge during World War II whose leadership helped turn around the military balance in Korea; and Marguerite Higgins, a wartime correspondent add to the narrative. Other strengths of the book include Brands’ description of the plight and final breakout of US Marines at the Chosin Reservoir and their two week trek battling the elements which were more dangerous than the Chinese communists to reach Hamhung. Brands coverage of Truman and MacArthur rationalizations when confronted by Congress and the press is eye opening in trying to gain insights into their dysfunctional relationship after the Chinese communists crossed the Yalu into North Korea. MacArthur’s statements at this time concerning administration restraints in dealing with bombing Chinese airfields in Manchuria and other issues is very similar to his rhetoric leaked to the American press after Matthew Ridgeway’s forces saved MacArthur’s reputation in April, 1951. Brands coverage of Truman and the Joint Chiefs of Staff finally reaching the conclusion to relieve MacArthur of his command points to the final realization that MacArthur’s insubordination and egocentrism could no longer be tolerated. 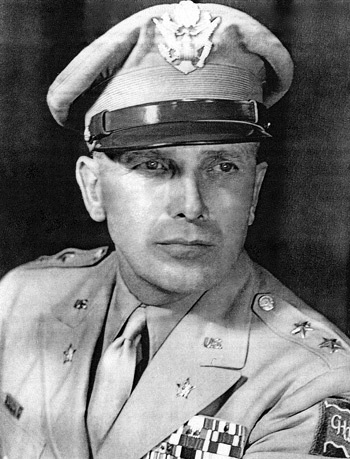 Especially enlightening was the inclusion of a great deal of the testimony of MacArthur and Secretary of Defense George C. Marshall before Congress following MacArthur’s dismissal. However, the report of the hearings would have been enhanced if excerpts of Secretary of State Dean Acheson’s testimony had also been included. This along with the geopolitical analysis of the region and domestic politics in the United States that included the role of Chiang Kai-Shek, Republicans in Congress, and the coming 1952 presidential election are all important pieces in understanding the war and its domestic implications. Despite the strengths of the book there are a number of areas that could be improved. The bibliography is rather sparse and the endnotes could be enhanced. In the area of analysis, Brands chooses to deal with a number of major issues in a rather superficial manner. His exploration of Soviet motives behind the North Korean attack is weak. His excuse that the Russians were protesting the seating of Formosa over mainland China in the UN Security Council as the reason for their absence to block an American/UN force to stop the North Korean advance does not go far enough. Is it possible that Moscow tried to draw the United States into the conflict in the hope it would cause difficulties with the Chinese at a time when the Sino-Soviet split was emerging is a main motivation? Brands covers all the major topics that come under the umbrella of his overall subject, but he needs to dig down further, or just state up front that he is preparing a general history of the topic, then the reader will not expect more. For example, the Wake Island meeting between Truman and MacArthur covers the basics. Further, he does not drill down far enough when discussing events that led up to the Chinese overrunning UN forces in November, 1950. 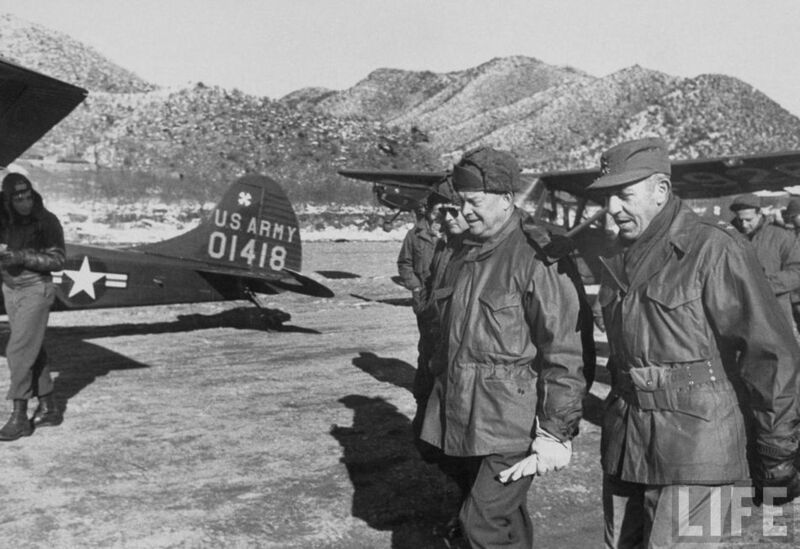 To his credit he does list the signs of possible Chinese actions that MacArthur missed, but he needs to explore the reaction of America’s allies further, as well as the interaction between MacArthur and the Joint Chiefs of Staff. Overall, Brands has written a very readable account of the Truman-MacArthur relationship in the context of the Cold War. I would agree with Francis P. Sempa’s view published in the New York Journal of Books* that Brands does not present a very clear legacy of the Korean War in terms of future American foreign policy. Truman wanted to have a “police action” or “limited war,” in Korea, MacArthur sought total victory, something the United States has achieved only once since World War II in the first Gulf War in 1990-91, but failed to accomplish in Vietnam, and currently in Iraq and Afghanistan. There are a number of lessons that could have been discussed that relate to future American foreign policy, an important area, which Brands chooses to ignore.